I recently began the process of Invisalign to straighten my teeth, and I wanted to document my experiences step-by-step. Hopefully, this will help future patients feel comforted and become informed as to what is involved and what they can expect. Today, I had the second phase completed on my way toward straighter teeth. I had my exam, x-rays, photos, and impressions taken. The first step was for Sandy, Dr. Anenberg’s assistant, to take my full series of x-rays (FMX) and pano. The FMX consists of 18 films of x-rays (to get all of the teeth at all angles) and pano, which is a panoramic x-ray of the teeth and mouth. The purpose for both of these is to be able to see the placement of the teeth and bone in the mouth. Sandy is an amazing assistant and took great x-rays. I am usually very squeamish when it comes to this whole process, but she made it fun, educational, and painless. Time frame for all x-rays: approx. 30 min. The second step was for Dr. Anenberg to do an examination of my teeth, take digital photos, and take the impressions to send off to the Invisalign lab. The examination checks to make sure that the teeth have no cavities or problems, before beginning the Invisalign treatment. Then Dr. Anenberg took digital pictures of my teeth both closeup and from a distance. The photos displayed what my teeth look like opened and also closed, as well as my natural smile from all angles. (These will be helpful later to see the changes in the completed work). Time frame for exam and photos: approx. 20 min. The last part of this visit were the impressions taken of my teeth. Sandy worked with Dr. Anenberg to mix a clay-like substance into a tray that I had to bite into. I held the tray in my mouth while biting down, so that the material could take an impression of my teeth. There were two upper impressions and two lower impressions that needed to be done. Once that was complete, the molds harden into models of my teeth for Dr. Anenberg to send to Invisalign. 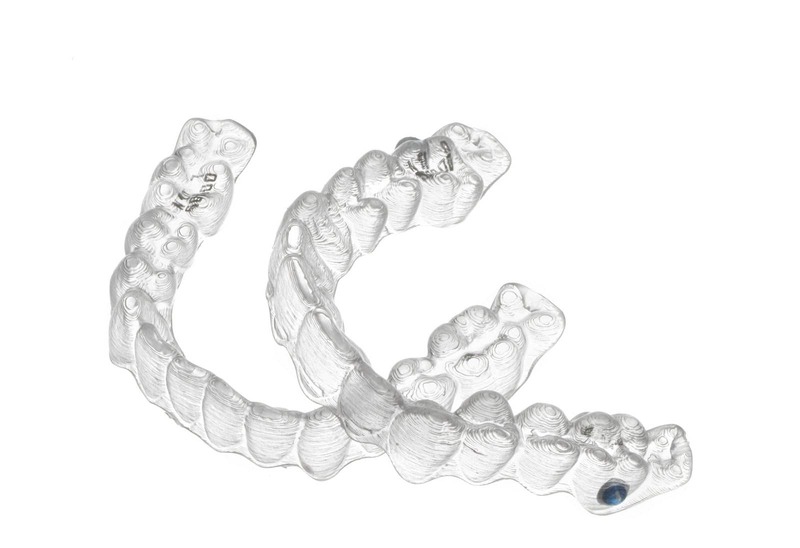 With the help of computers and modern equipment, Invisalign can create clear plastic aligners that fit snugly into the mouth and will slowly shift the teeth to be straight. Time frame for impressions: approx. 20 min. Before Invisalign sends the final aligners to the office, Dr. Anenberg views a program through the Invisalign website that allows him to look at how the teeth will slowly shift over the time frame allotted. He showed me what my teeth look like currently, and what the final outcome will be (see below). Dr. Anenberg also gave me paperwork to read through and sign regarding my consent for treatment. Now it will take approximately 1-2 weeks for my Invisalign Starter Kit to arrive, which will include my 1st set of upper and lower aligners. I am very excited to begin my Invisalign treatment, and I must say that Sandy and Dr. Anenberg made this experience a great one! For more information on how you can get on your way to straighter teeth, call our office or email us today!